Is 911 service down in your area? Got a complaint about your mobile provider? Just invented a new iphone-killer, and need safety approval before your product goes to market? Well, too bad, you'll have to wait. The Federal Communications Commission just went dark. All but the agency's most essential operations abruptly halted late Thursday because of Trump's government shutdown. Also today, Ajit Pai canceled his trip to CES, as Politico first reported. This will be the second year in a row FCC Chairman Pai hasn't appeared at the annual electronics event in Las Vegas. FCC posted advance warning about the pending closure. Most of the agency's activities will stop, and most staff furloughed, a notice on FCC.gov Wednesday explained. Also shut down for now: The FCC's review of that T-Mobile/Sprint merger, device testing (this affects startups and tech companies developing new tech gadgets), and FCC enforcement of consumer protection law. Consumer complaint/safety lines will also be down. Less than 20 percent of FCC employees will continue working. Among them, Chairman Ajit Pai, and FCC's three commissioners: Michael O'Rielly, Brendan Carr and Jessica Rosenworcel. FCC dot gov will supposedly remain online, but nobody will be updating the website, and special tools (like this one that lets you access information on some complaints filed with FCC) will not function. Here's the FCC's Wednesday information release before they closed up shop, re-published here in entirety in case the fcc dot gov website goes dark, too. During a lapse in funding, the Network Outage Reporting System (NORS), the Disaster Information Reporting System (DIRS), the Public Safety Support Center (PSSC), the Licensing Management System (LMS), the Consolidated Database System (CDBS), the Electronic Comment Filing System (ECFS), the Universal Licensing System (ULS), the Electronic Document Management System (EDOCS), the Auctions Public Reporting System (PRS), the Auction Application System, the Auction Bidding System, the Daily Digest, and the Commission Online Registration System (CORES) will remain available. While ECFS, ULS, LMS, CDBS, and the Auction Application System will be available to the public, no support will be provided except as may be necessary for activities related to spectrum auctions authorized by 47 U.S.C. § 309(j), including the broadcast incentive auction. These systems will only be reviewed for information related to spectrum auction activities authorized by section 309(j), including the broadcast incentive auction; all other filings will not be reviewed or processed and will be considered accepted on the day following the day of return to normal operations. The Daily Digest will continue to be published to notify the public of releases related to spectrum auction activities authorized by section 309(j), including the broadcast incentive auction. All other Commission electronic filing and database systems will be unavailable to the public until normal agency operations resume. The systems unavailable include, among others, the Consumer Complaint Center (including the main FCC Call Center and the American Sign Language Consumer Support Video Line), the Consumer Complaint Data Center, the Equipment Authorization System, the Electronic Tariff Filing System (ETFS), the Cellular Telephone Interference Reporting System (CTIX), the Experimental Licensing System (ELS), the International Bureau Filing System (IBFS/MyIBFS), the Section 43.62 Online Filing System, the FCC Form 477 Online Filing System, the Study Area Boundary Data Collection System, the Study Area Boundary Data Recertification System, the Tower Construction Notification System (TCNS), the Antenna Structure Registration System (ASR), the Electronic Section-106 System (E-106), Fee Filer, the Part 90 Class B Signal Booster Registration System, the Urban Rates Survey Data Collection Site, the Emergency Alert System Test Reporting System, and the 911 Reliability Certification System. This unavailability of systems will impact the work of any entities requiring access to such systems and information. For example, Telecommunications Certification Bodies will not be able to upload applications for equipment authorization or issue grants of certification without access to the Equipment Authorization System. 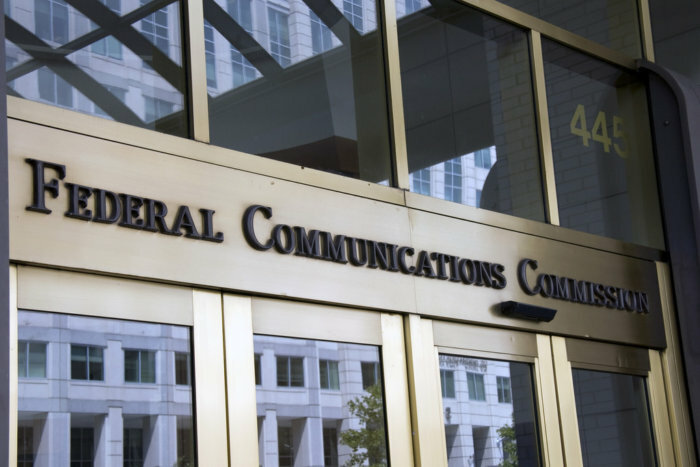 In addition, the Commission’s filing window and mail operations will be open only for the purpose of receiving filings related to the spectrum auction activities authorized by section 309(j) of the Communications Act of 1934, as amended, 47 U.S.C. § 309(j), including the broadcast incentive auction, See Middle Class Tax Relief and Job Creation Act of 2012, Pub. L. No. 112-96, §§ 6402, 6403, 125 Stat. 156 (2012) (Spectrum Act), codified at 47 U.S.C. §§ 309(j)(8)(G), 1452.
and filings necessary for the protection of life and property. Content on the Commission’s website will remain accessible to the public, but will not be updated during the suspension of operations except as to matters related to spectrum auction activities authorized by section 309(j) and matters necessary for the protection of life and property. Spectrum Auction Activities Authorized by Section 309(j). During a suspension of Commission operations because of a lapse in funding, Commission staff will continue to perform ongoing work related to spectrum auction activities authorized by section 309(j) of the Communications Act, 47 U.S.C. § 309(j), including the post-incentive auction broadcast transition. All spectrum auction filing deadlines will continue to apply. Commission staff will be available to answer spectrum auction questions and may communicate with relevant parties regarding spectrum auction activities and requirements. Commission staff will not be available to perform work other than the excepted activities described in this Public Notice and will not process any other materials delivered by U.S. mail to Commission facilities or any other materials received by the Commission electronically. Such materials will be considered accepted by the Commission on the day following the day of return to normal operations. The Commission’s website will have active links to the electronic systems listed above as needed. The Appendix describes ongoing work by Commission staff related to the post-incentive auction transition that will continue during a suspension of regular Commission operations. During a suspension of regular Commission operations because of a lapse in funding, relevant parties may contact the Commission about the Broadcast Incentive Auction Transition via email at reimburse@fcc.gov. For phone calls related to reimbursements from the Relocation Fund, parties should continue to call (202) 418-2009. For all other questions related to the Broadcast Incentive Auction, parties should email IATransitionlicensing@fcc.gov. For matters related to spectrum auctions, including whether an activity is authorized under section 309(j) to continue during a suspension of operations, parties should call (202) 418-0660 or send an email to the appropriate auction-specific email address. For example, emails regarding Auctions 101 (Spectrum Frontiers (28 GHz)) and 102 (Spectrum Frontiers (24 GHz)), should be sent to auction101@fcc.gov or auction102@fcc.gov, and emails regarding Auction 100, AM Revitalization / FM Translators (2nd window), should be sent to auction100@fcc.gov. For qualified bidders in Auction 101, the Auction Bidder Line and Auction Technical Support Hotline will remain available. The Auction Bidder Line will be available from 9:00 AM – 5:30 PM Eastern Time (ET), Monday through Friday. The Technical Support Hotline will be available at (877) 480-2101, option nine; or (202) 414-1250 from 8:00 AM – 6:00 PM ET, Monday through Friday. If an activity is determined by Commission staff not to be authorized by section 309(j), staff will not take any further action on that activity during the suspension of regular Commission operations. As described below, parties should contact the FCC Operations Center at (202) 418-1122 for emergencies affecting the safety of life or the protection of property. We are extending the normal filing deadlines under the Commission’s rules so that all Commission submissions that would be due during a suspension of operations, including submissions otherwise due on January 3, will be due on the second day of normal operations. Thus, for example, if a lapse in funding ended on a Monday, the Commission would return to normal operations on Tuesday morning. To accommodate the orderly resumption of business, submissions due either during the suspension of operations (including January 3), or on the Tuesday when operations resumed, would instead be due on Wednesday. We hereby waive the Commission’s rules to the extent necessary to effectuate this extension. Further, in order to avoid confusion due to the shutdown of operations in the middle of the business day, we clarify that January 3, 2019, will not be considered a day that the Commission is open for business for the purpose of calculating submission deadlines. This extension of filing deadlines does not apply to NORS and DIRS filings and filings related to spectrum auction activities authorized by section 309(j), including the broadcast incentive auction. If the Commission is unable to restore electronic filing systems on the day the government reopens, the Commission may issue another Public Notice further extending filing deadlines. This Public Notice affects only the due dates for filings with the Commission that are scheduled to occur during any shutdown, including on January 3, or on the day the agency reopens, as described in the preceding paragraph. We are not automatically extending the deadlines for any comment or filing periods that occur outside of this time period, but we will consider whether it is appropriate to do so once normal operations resume, and requests for extension of time will be considered consistent with the Commission’s normal practice. This Public Notice also does not affect the effective date of Commission actions or other events, or dates for filings with entities other than the Commission, During the period that the E106 system is not in operation, FCC Forms 620 and 621 may be submitted directly to the State Historic Preservation Officer (SHPO) as provided in the Nationwide Programmatic Agreement (NPA), 47 C.F.R. Part 1, App. B, to the extent the SHPO will accept such filings. The deadlines set forth in the NPA for responses to the applicant or the SHPO shall be measured from the date of filing with the SHPO even if such filings are also made with the Commission. Any filings with fund administrators (Universal Service, Telecommunications Relay Services (TRS), North American Numbering Plan) or entities other than the Commission (such as state commissions, U.S. Territorial Governments, or Tribal Governments) still must be filed timely with such entity, even if the Commission has suspended operations. These programs will continue to operate, and services such as TRS will continue to be provided, during a shutdown. If such filings are also required to be filed with the Commission, they should be filed with the Commission pursuant to the deadlines established in this Public Notice. We stress that filings related to spectrum auction activities authorized by section 309(j), including the broadcast incentive auction, can and must be made by or before the previously announced deadlines. Responsive Pleadings: To the extent the due dates for filings to which reply or responsive pleadings are allowed are extended by this Public Notice (other than those related to spectrum auction activities authorized by section 309(j), including the broadcast incentive auction), the due dates for reply or responsive pleadings shall be extended by the same number of days. As noted above, filings (other than those related to spectrum auction activities authorized by section 309(j)) submitted during the shutdown period (including January 3) or on the day normal operations are resumed will be considered accepted by the Commission on the day following the return to normal operations. See supra notes 1 and 4. Where due dates for reply or responsive pleadings to such filings would normally be counted from the date the underlying submission is filed, such due dates will be counted from the day after normal operations are resumed. Pleadings filed on January 2 will be counted as though the pleading were filed on the date that operations are resumed, to take into account that other parties may not have had access to that pleading until electronic systems become available again. Due dates for pleadings in reply or response to filings due or submitted prior to January 2 are not at this time extended beyond the day after the resumption of normal operations. Special Temporary Authority (STA): Any STAs expiring during the suspension of regular Commission operations are extended to the day after regular Commission operations resume except to the extent that such STA relates to the post-incentive auction transition or other activities authorized by section 309(j) as described herein. Emergency STA requests involving potential risks to life or property will be processed through the FCC Operations Center ((202) 418-1122) while the Commission’s electronic dockets and other online resources are unavailable. Fee and Other Payments: The FCC’s Fee Filer System will not be available while operations are suspended, and therefore no regulatory fee or application fee payments can be made through Fee Filer during such a period. Application fees are not required to submit a short-form application to participate in an auction. No deadline for payments of any type is being extended by this Public Notice, however, except to the extent a payment can only be paid through Fee Filer, in which case the applicable due date is extended in the same manner as the due dates for other regulatory filings herein. Otherwise, we expect payments to be timely made through the use of US Bank. Any payments made through US Bank, such as for civil monetary penalties, miscellaneous debts, and installment payments, will continue to be processed by US Bank and will be posted to the FCC financial system effective as of the date paid. Auction-related payments, including down, final, and upfront payments, will continue to be processed consistent with deadlines and instructions to be announced by public notice. The Commission’s informal 180-day time clock for review of transactions is suspended. The individual time clock for each pending transaction is stopped on the day of review that coincides with the last full business day before the lapse in funding, January 2, 2019. The informal time clocks will be restarted on the business day following the day of return to normal operations. Thus, for example, if a lapse in funding ended on a Monday, the Commission would return to normal operations on Tuesday morning, and the time clocks would be restarted on Wednesday. The Wireline Competition Bureau will release a separate Public Notice removing any necessary domestic section 214 transfer of control applications from streamlined processing, domestic section 214 discontinuance applications from the auto-grant process, and interconnected VoIP service provider numbering authorization applications from the auto-grant process during the pendency of the lapse in funding, as well as addressing other section 214 matters impacted by the lapse. 47 U.S.C. § 214; 47 CFR § 52.15(g)(3). Employment Discrimination Filings. In an effort to preserve the rights employees and other aggrieved individuals may have under Federal employment discrimination statutes, the agency will receive and record receipt of discrimination complaints. Any such complaint must be submitted within forty-five (45) days of the alleged discriminatory action; anyone needing to file during the shutdown to meet this deadline should call (202) 418-1122 for further filing instructions. Please note that, while the agency will accept discrimination complaints that must be filed in order to preserve the rights of the aggrieved during a shutdown, discrimination complaints will not be investigated during the shutdown. Finally, although the Commission will not be open for normal operations during a shutdown, it may be contacted in the case of an emergency affecting the safety of life or the protection of property through the FCC Operations Center at (202) 418-1122, which will remain staffed at all times. Pursuant to 47 C.F.R. § 1.3, and their respective delegated authorities, this Public Notice is issued by the Consumer and Governmental Affairs, Enforcement, International, Media, Public Safety and Homeland Security, Wireless Telecommunications, and Wireline Competition Bureaus and the Offices of Engineering and Technology, Economics and Analytics, General Counsel, and Managing Director.